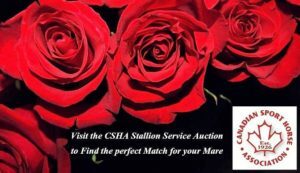 Click on the Roses for auction site. More stallions to be added . . . .